Companies can no longer reduce their corporate responsibility to volunteering initiatives and charitable donations. More than ever before private sector organisations are being challenged on and being held accountable for their impacts on the environment and society, their practices and their long term strategy (or lack thereof). Many guides and instruments have been developed to help assist businesses in this transformation. In many ways the range of choice makes it more difficult to understand which one to choose and how different frameworks might fit together. 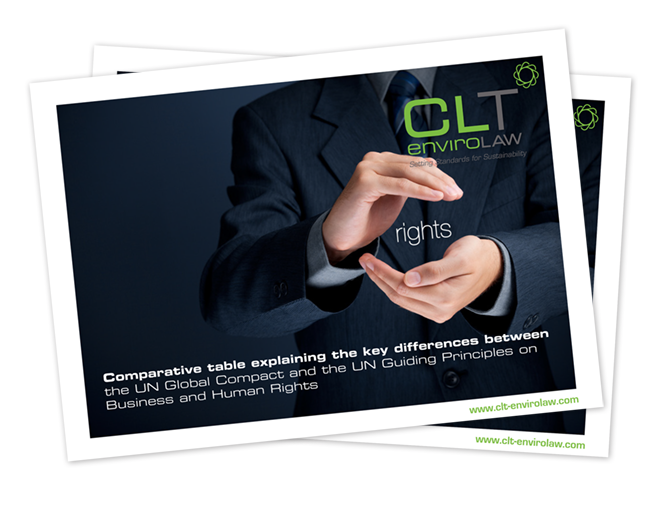 Ardea International has developed a table providing an introduction and overview of two of the principal UN frameworks: the UN Global Compact and the UN Guiding Principles on Business and Human Rights (UNGPs).